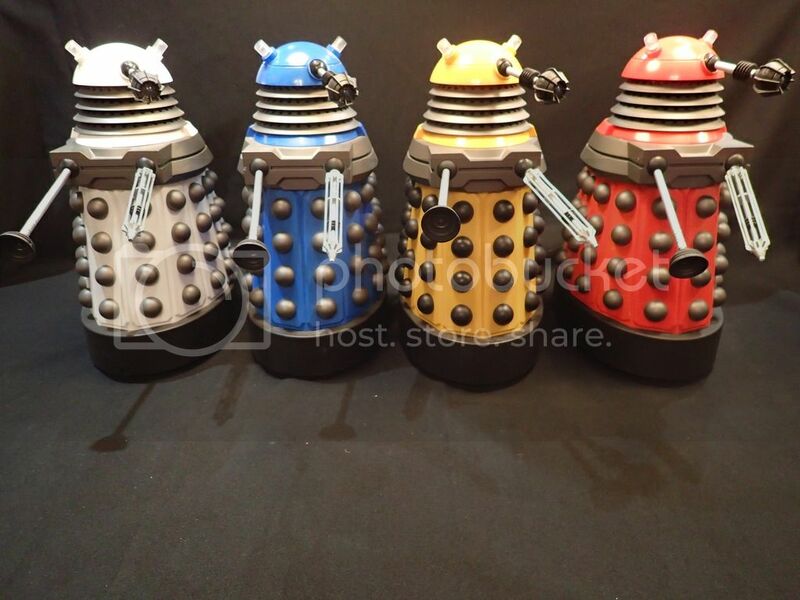 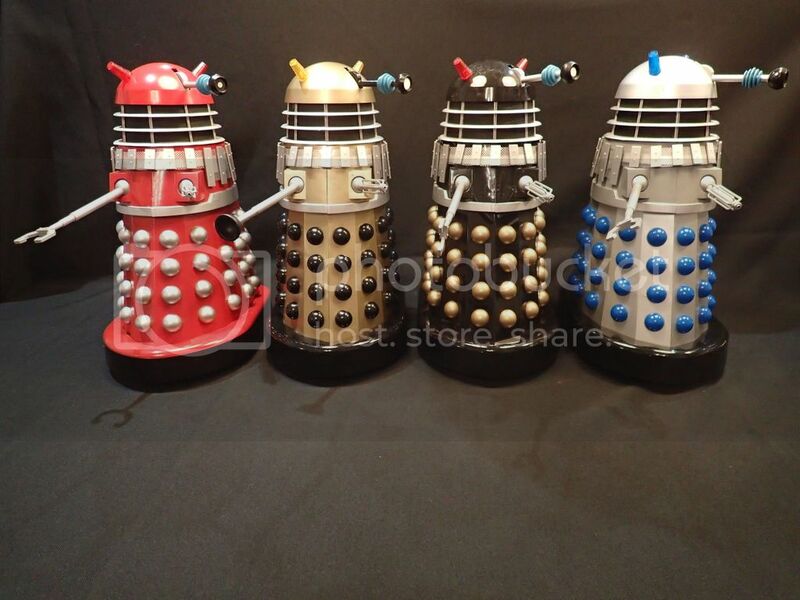 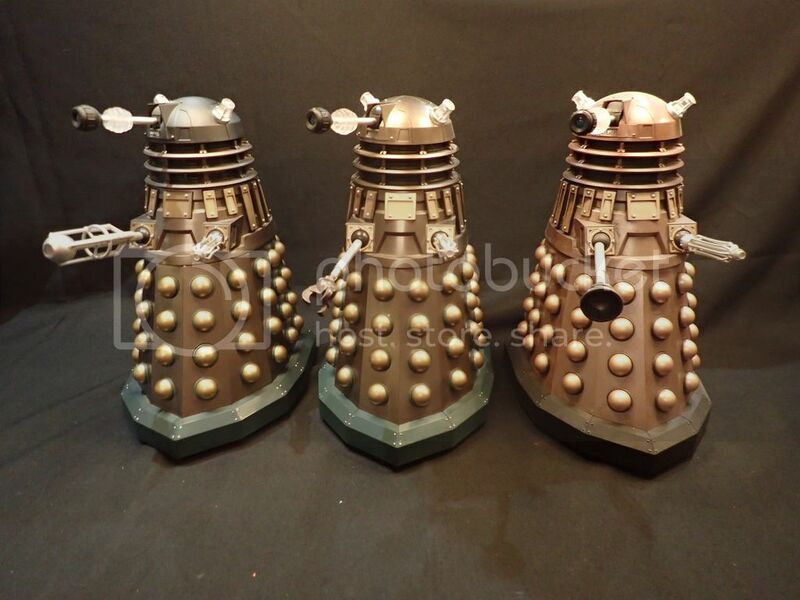 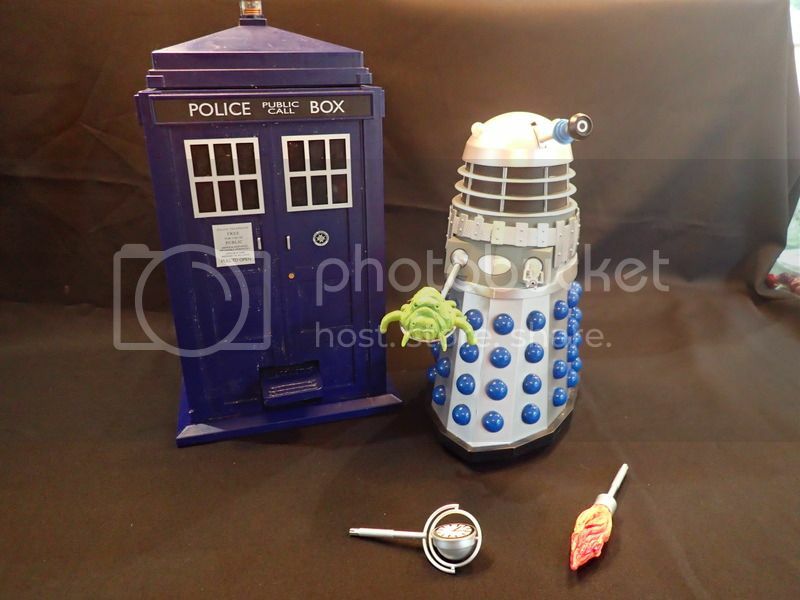 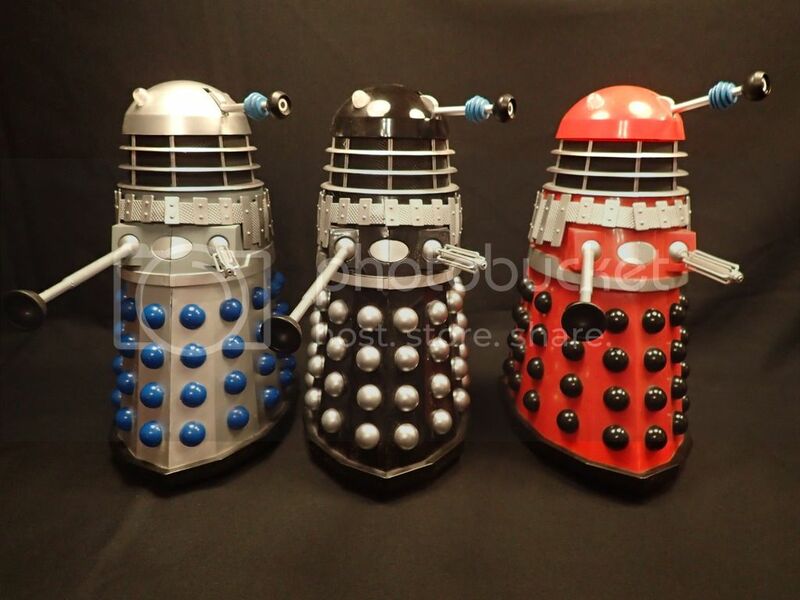 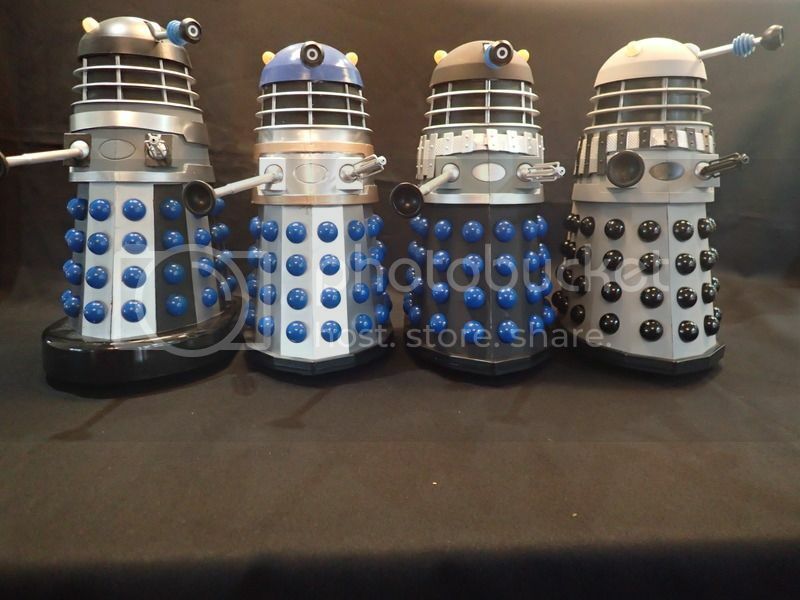 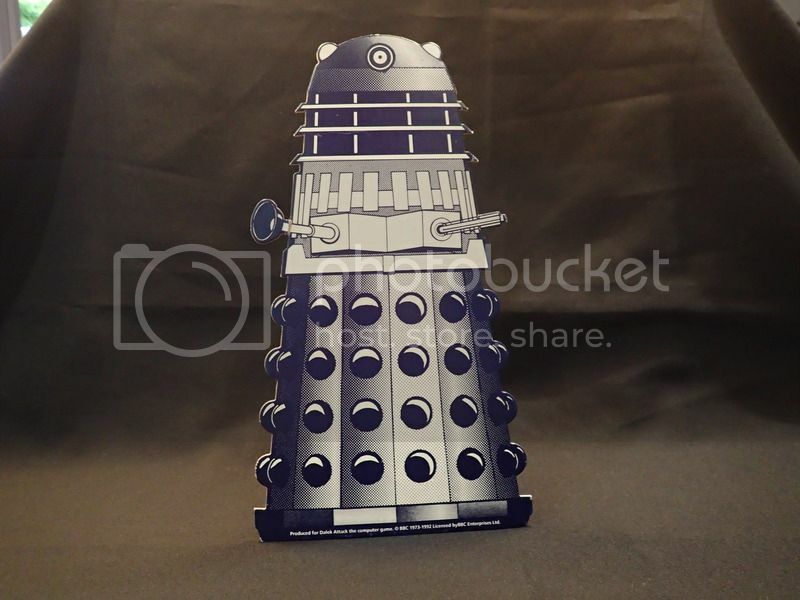 I collect only 12" Daleks from Product Enterprise and Character Options. 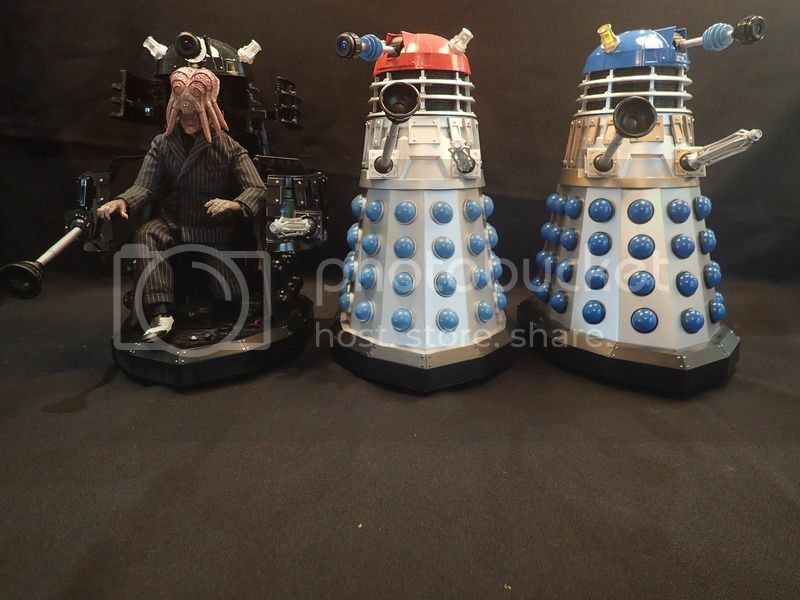 My collection includes complete sets of Product Enterprise classic and movie Daleks, and Character Options New Series and New Paradigm Daleks. 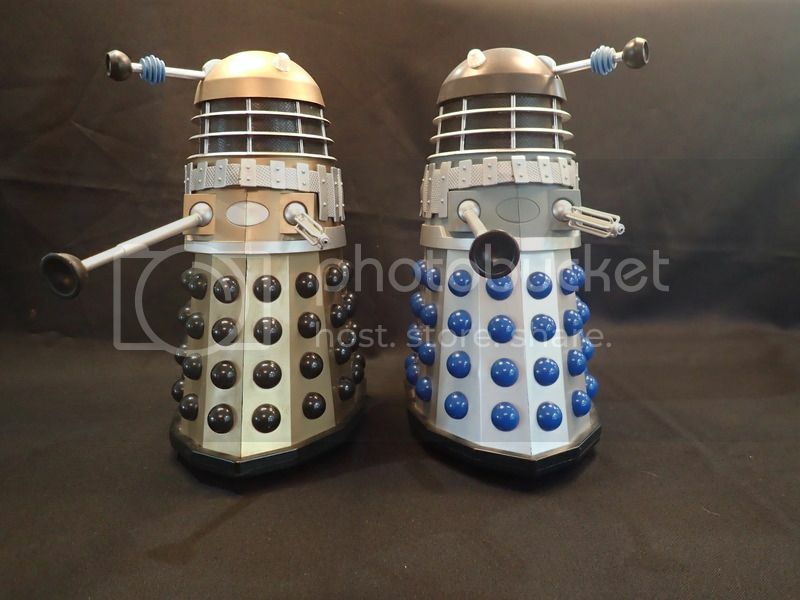 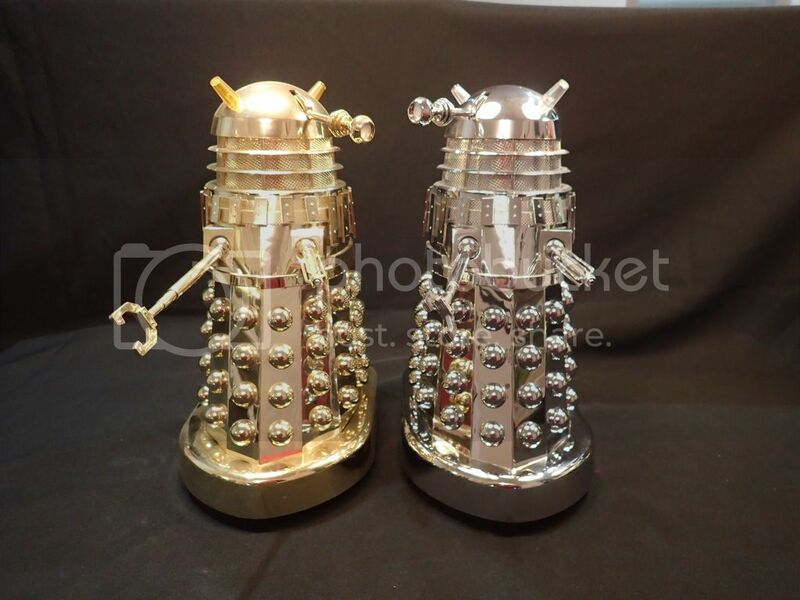 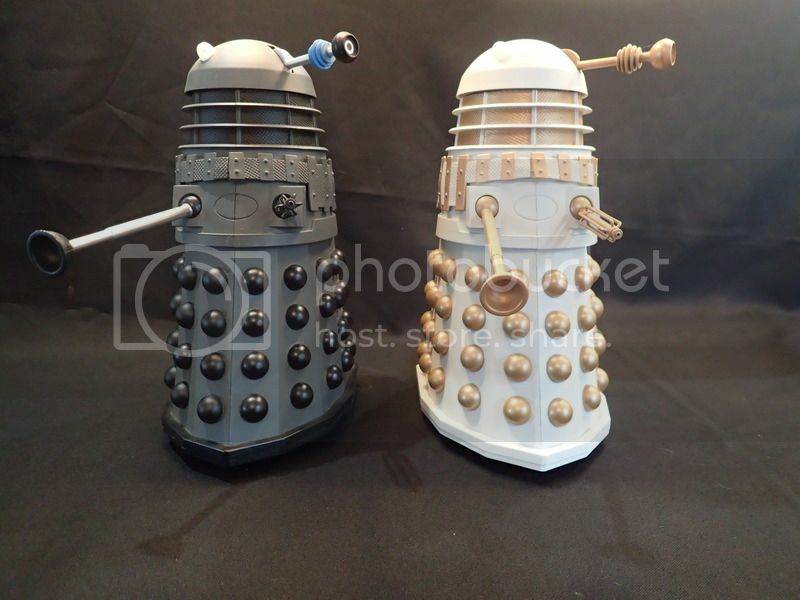 I have the rare limited edition chrome and gold chrome movie Daleks (the latter of which took me several years and a lot of money to acquire. 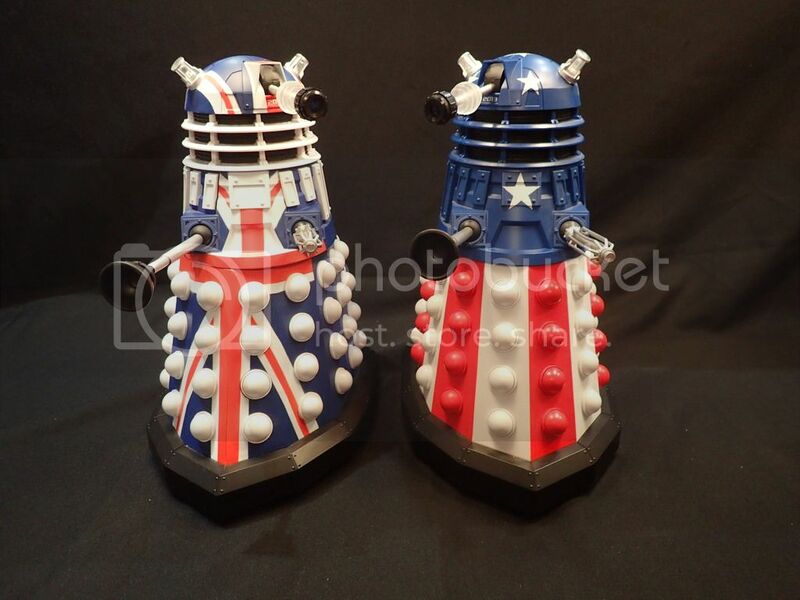 I also have an unreleased pre-production Stars & Stripes Dalek, one of (I believe) only three in existence. 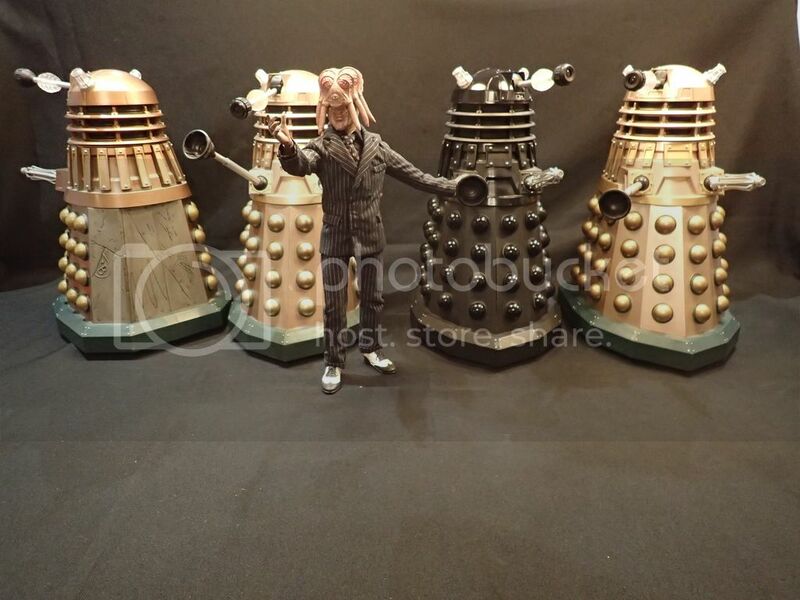 The pride of my collection is my newly acquired Product Enterprise classic Dalek with three interchangeable arms. 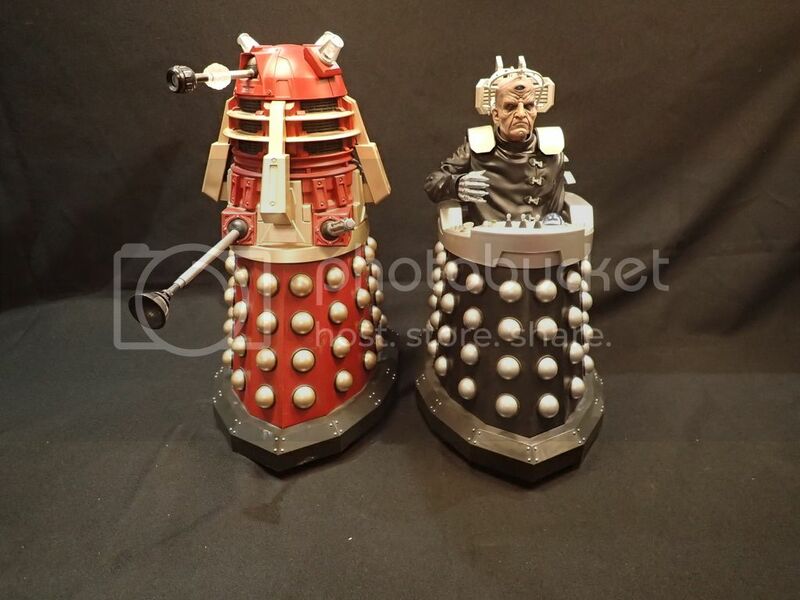 This was made as a prototype just before PE lost their BBC licence, and is the only one in existence. 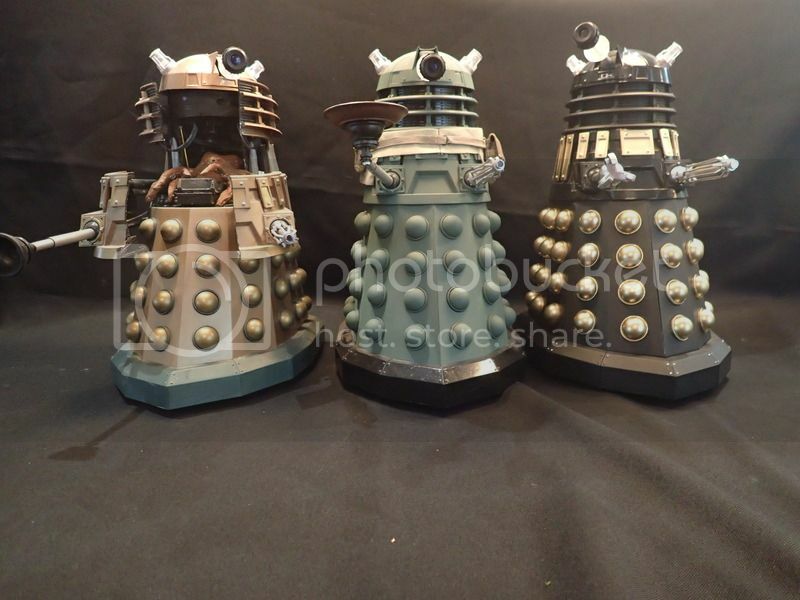 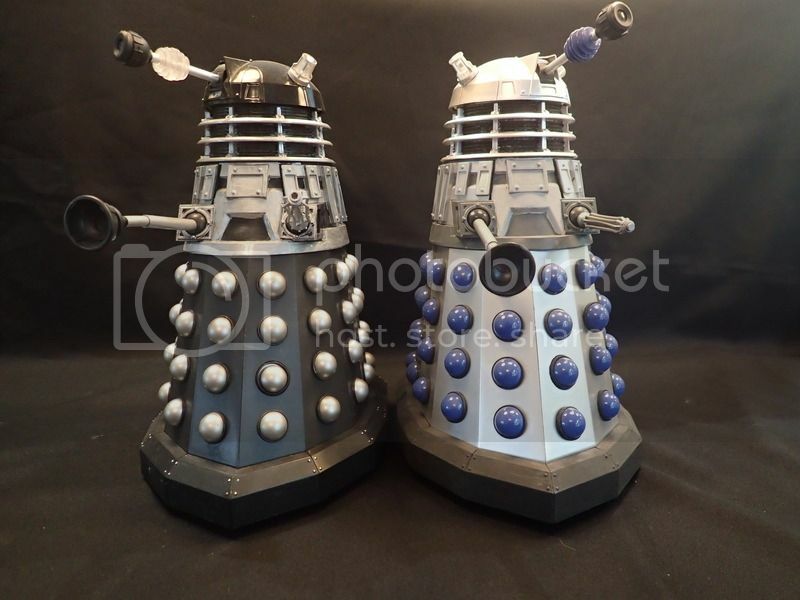 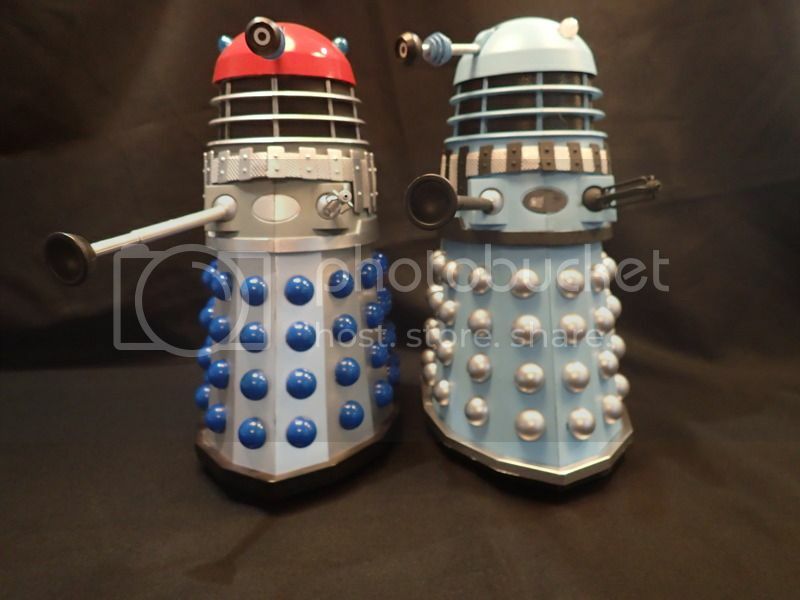 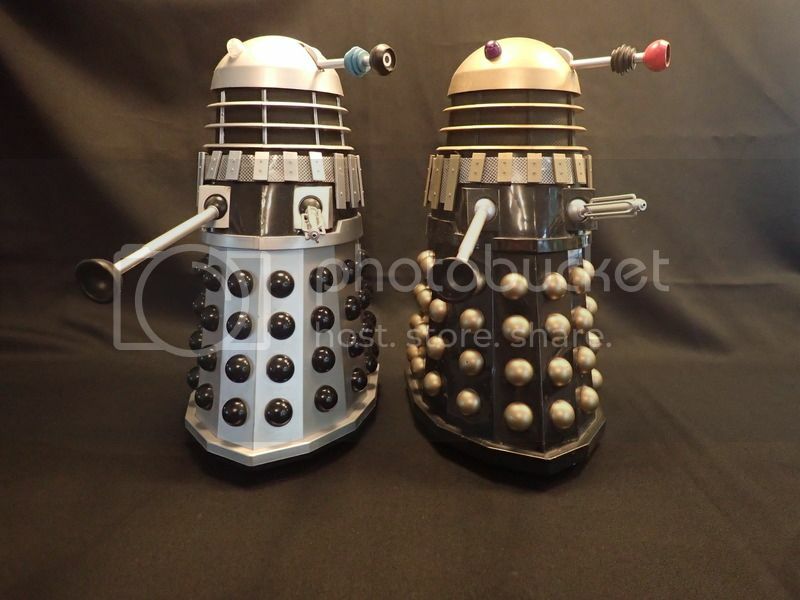 I've also bought several broken or non-functioning Daleks and repainted them myself in other classic or famous colour schemes. 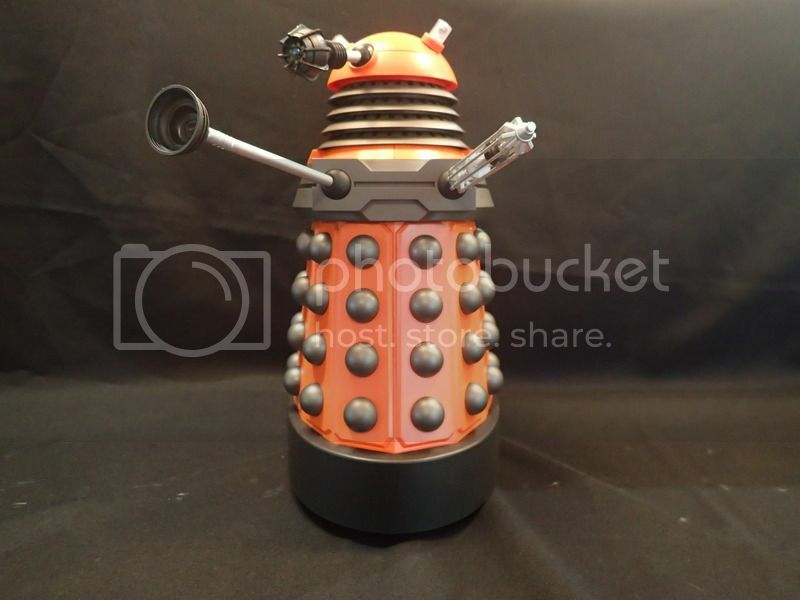 All of the pictures on this page are the property of Mark Sheldon and may not be used or reproduced in any way without his explicit written consent.